How healthy is your neighborhood, your schools, your housing, your public spaces and streets? We gather data and stories that help communities, organizations and city leaders make better decisions about how they can improve the health, well-being and efficiency of their neighborhoods through design. We are so excited that Shadelab, a project we created for the fantastic folks at Landon Bone Baker Architects (here) and their community partners is a finalist for the Metro Chicago Information Center‘s Project Prize. This prize is a service grant in which MCIC (here) will put their tremendous experience making sense of vast amounts of civic data to help the Shadelab team better analyze the reams of neighborhood data that they gathered this summer. 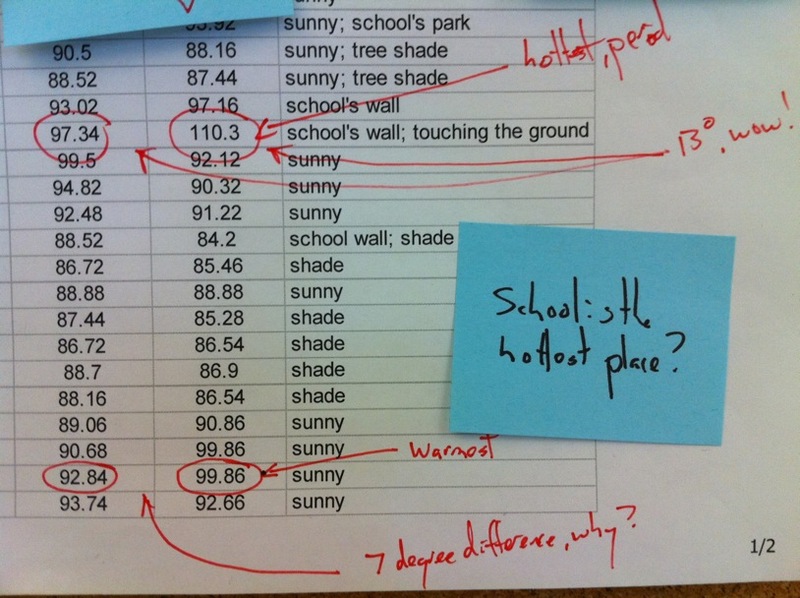 Did you know that Von Humboldt Elementary’s playground is 20 degrees warmer than any other place in the neighborhood? 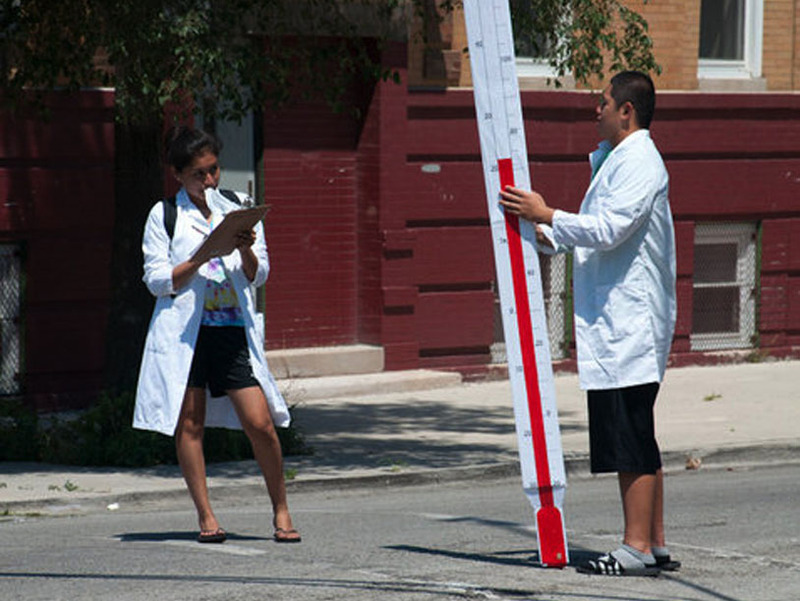 Until the fantastic teen Shadelab interns extensively mapped temperatures and air quality throughout the neighborhood last summer, this was a mystery to not only us and our partners but also the Alderman, the school’s principal and the neighborhood residents. Shouldn’t our schools be the healthiest spot on the block? With your help MCIC can help us find other compelling connections and opportunities for change in our mountain of data. This service grant is critical to helping Shadelab grow as a project and to ensure that the hard work of these fantastically talented teens does not go unnoticed. How can you help? Typically MCIC only gives out one service grant. However, they like the three project finalists so much that they want provide grants for all three projects. Their staff members have contributed substantial amounts of their own money to support this effort but we are now just $879 away from being able to do all three. Please consider making a donation now to help our project continue to move ahead. To donate, please click (here). For more information on Shadelab click (here) or (here).